Although hydraulic disc brakes are becoming more popular on road bikes, traditional mechanical caliper brakes are still used on many bikes, as they are simpler to adjust for the home mechanic and also more lightweight than disc brake setups. In some cases, it makes more sense to use caliper brakes, as they are more suitable. 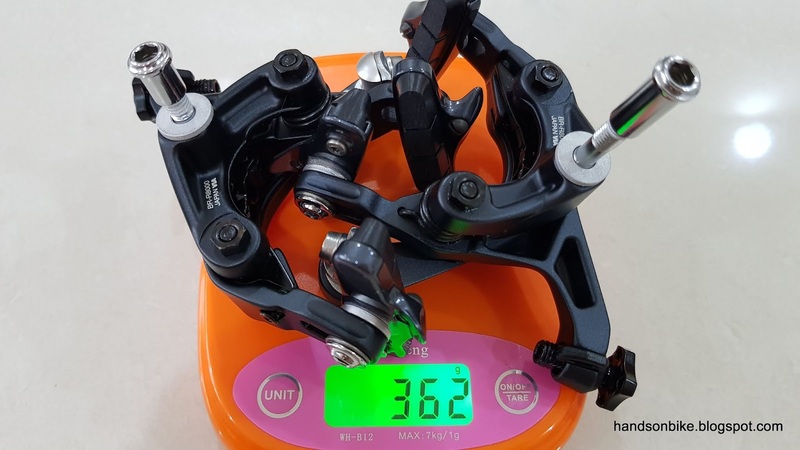 For example, on the Dahon MuSP folding bike, a standard reach caliper brake comes stock on the bike. This is best paired to a road shifter, which is why the Dahon MuSP is a good choice for a road drop bar setup. 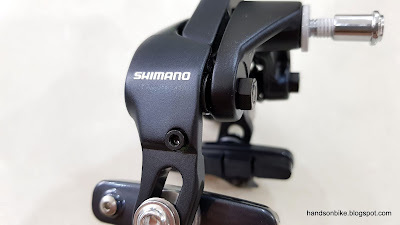 During the previous generation of road caliper brakes from Shimano, a cam roller mechanism was used to enhance the braking performance of the brakes. 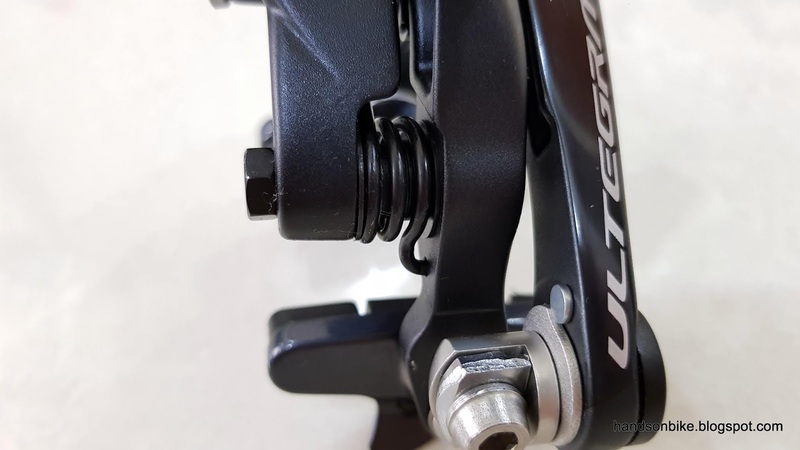 This can be seen on the Dura-Ace 9000, Ultegra 6800 and 105 5800 caliper brakes. 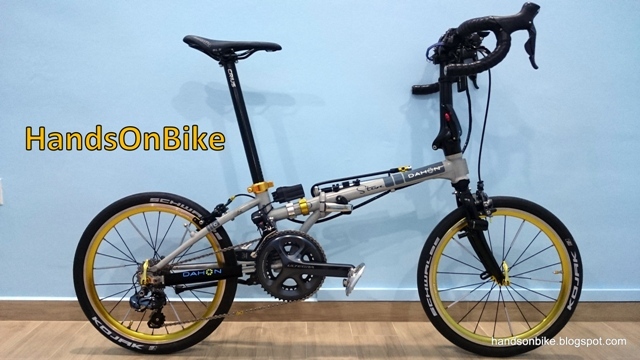 This time, the new Ultegra R8000 brakes were used on the Dahon MuSP. Although it looks quite similar to the previous Ultegra 6800 brakes, there are some subtle but important differences. Let's compare and see what the differences are! 6800 has silver coloured pivots, and the quick release lever points downwards when closed. R8000 has a redesigned quick release lever, which tucks in neatly with the brake arm when closed. The pivots are also black in colour for a more stealthy look. 6800 has one bolt and one nut on the two pivots, both of which are silver in colour. R8000 uses a slightly different construction, and has two nuts on the two pivots. Also black in colour like the bolts at the front of the brake. 6800 has a casted aluminium piece in the middle, which is part of the cam roller mechanism. The adjustment bolt (seen at top) means that a joint is visible. 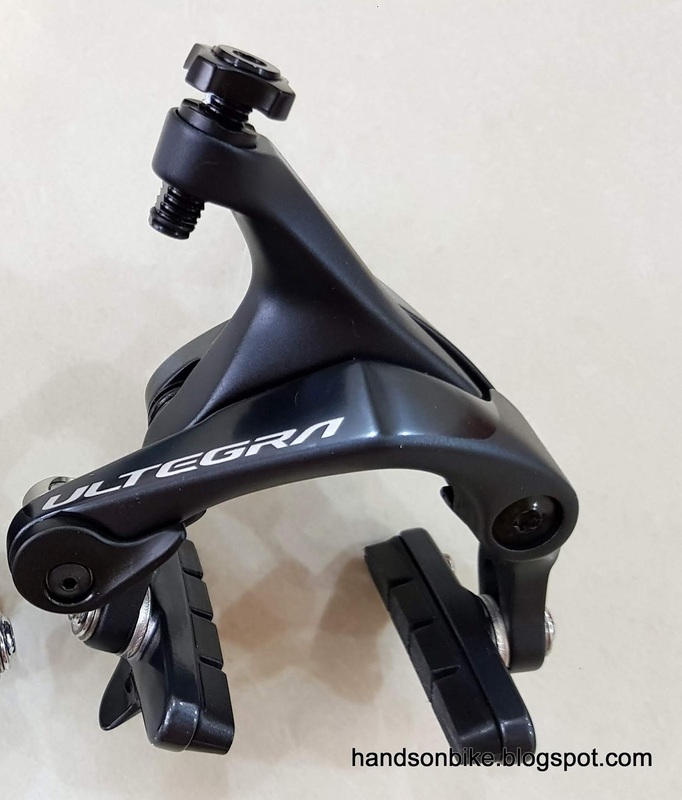 For R8000, the cam roller mechanism has been redesigned to be a stamped steel part (black piece in the middle), which has a similar cam roller mechanism. 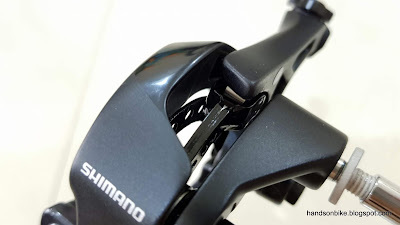 The adjustment bolt has been moved to the side, which means that the top arm can be one single piece. 6800 has a spring tension adjustment bolt (small bolt just above the spring), which is not really necessary. 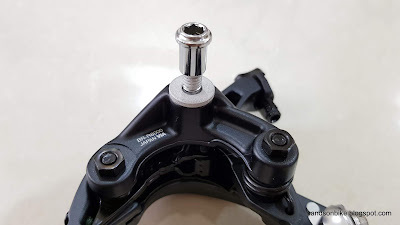 R8000 does not have a spring tension adjustment bolt, but it is OK as it is not important. R8000 has an additional steel stiffening plate that links the left and right pivots together. This reduces the flexing of the brake arms during hard braking, which improves the braking performance. Although it adds weight, I think it is worth it for the performance boost. 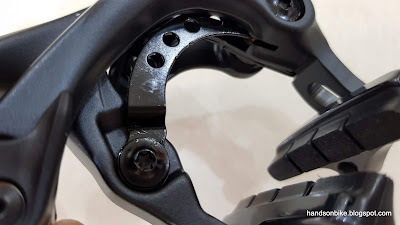 R8000 has the adjustment bolt located at the side, which allows the whole brake caliper to look more integrated with less gaps. 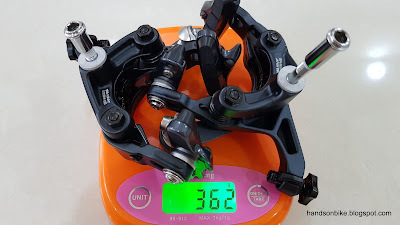 6800 weighs 341 grams as a pair. 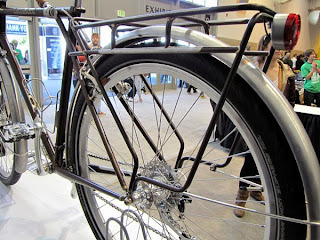 Not so lightweight, but it has good braking performance. R8000 actually weighs more at 362 grams, due to the additional steel stiffening plate. That's about it, with all other aspects looking the same as the previous generation. As already mentioned, these are rather subtle differences that enhances the appearance and also the performance, but at the expense of a bit more weight.